For You, Your Family & Your Business! For Your FREE Financial Profile, Analysis & Coaching (P.A.C)! This is a FREE International Enrollment! This is NOT a money making opportunity! This is a CREATING WEALTH SYSTEM and this does not compete with your current job or business! (OVER $1000 IN VALUABLE INFORMATION AND FINANCIAL COACHING) This is the safest way to grow and protect your financial wealth for you, your family and your families family for generations to come!! YOU will learn Rock SOLID solutions to ENHANCE your Business and/or Personal financial position in life. This is EXCLUSIVE information they DO NOT teach you in school in fact ONLY about 1% of the world even knows about it. This is REAL Information you need to WIN for your Business and/or Personal Finances! 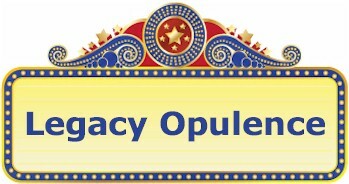 We call it Legacy Opulence!! You will be contacted within 24-48 hours. Look for phone prefix (303) or (720). If you do not hear from someone within that time please contact ASA Support!! More info. Business Credit Loans $20K + N/ASeeking $20,000.00 - $50,000.00Seeking $50,000.00 - $100,000.00Seeking $100,000.00 - $200,000.00Seeking $200,000.00 - $500,000.00Seeking $500,000.00 or More! NOTE: Once you submit this form you will receive a confirmation email. Once confirmed you will be contacted by your Financial Coach, usually within 24 - 48 hours. If you do not hear from someone within that time please contact ASA Support! !